How to choose the perfect picture? The most important factor for choosing the perfect artwork is of course, your personal taste! It should impress you and appeal to you. Put simply, you just have to like it. For easier searching we suggest our search filters, which will help you to find the best artwork. Every art piece also has a caption with basic information, and the artist’s own site with CV, and exhibition summaries. In case you do not understand some of the terms used on our website, don't worry! We have prepared a useful tool called The Art Collector's Guide, which will quickly clarify the difference between phrases like figurative art and minimalism. We would also love to personally help you with the selection of the best artwork, offering consultancy for your apartment, office or any other particular space. If you want to invest in art, but you're not sure which horse to put your money on, we will gladly discuss all the options with you. Don't hesitate to contact us at hello@origoo.cz. Abstract painting usually stands for a painting which does not portray specific objects, but is interested in the inner reality. As such, it is a non-specific, non-figurative art that comes directly from natural motives, whose abstraction leads to radical compositional and structural changes (e.g. Vasilij Kandinskij) or tries to provide the inner (spiritual) meaning with a certain external form independent of nature - even though it is in a way derived from natural principles (e.g. Marc Rothko). It is not an imitation, but a true work of art that uses coloured area, line and motion. Abstraction has its roots in the decadent tendencies of the late 19th century, which was placed in an opposition to the academic art. According to the impressionist theory abstraction is the quality of reality, which eludes our object-oriented consciousness. It was not fully developed until the early 20th century when it was supported by the scientific and technical findings. 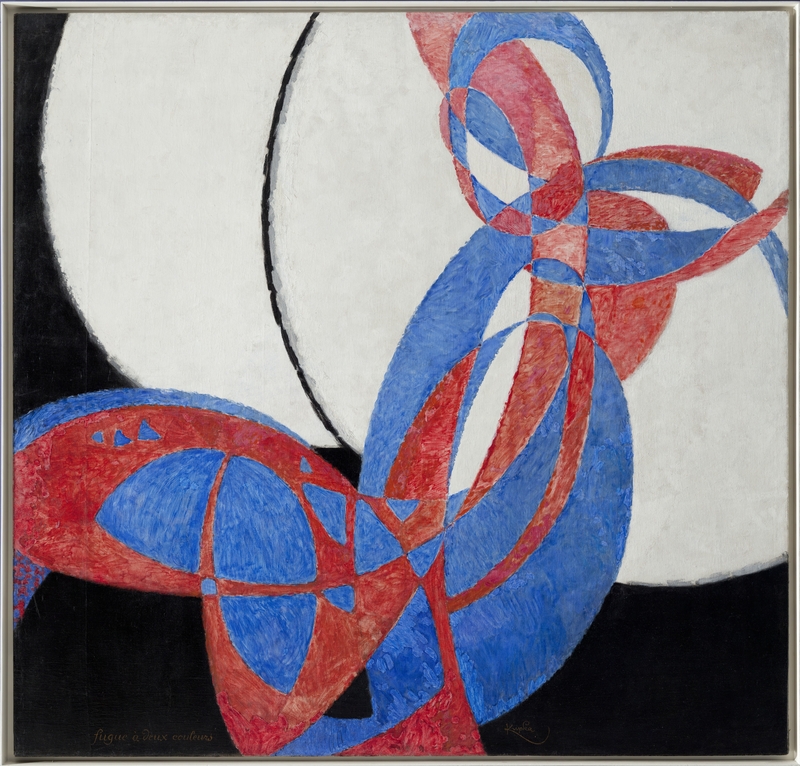 One of the pioneers of abstraction and according to many art historians the very first abstract painter was a Czech painter František Kupka, who exhibited 1912 in Paris paintings Amorpha: Fugue in Two Colours and Amorpha: Warm Chromatics. Both now belong to collections in Czech republic (National Gallery Prague, Kampa Museum). is the opposition of abstract art and refers to all subject artwork. The main tool of figurative thinking is thus the human figure, through whose representation artists ponder the role of a human being in the world. In the second half of the 20th century artists reached an even stronger opposition to the strengthening tendencies of abstract art and reached a so called new figurative art - that is the return to the figure. 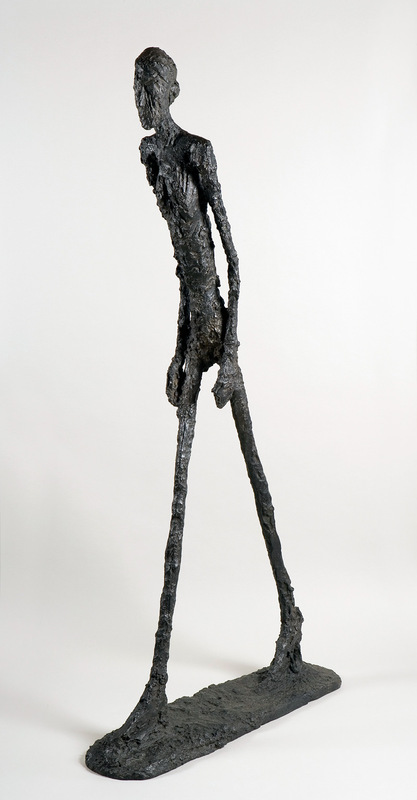 Among the first artists to be returning to the figure is a Swiss sculptor Alberto Giacometti or an English artist Henry Moore. Olbram Zoubek´s work can serve as an example of Czech figurative art. 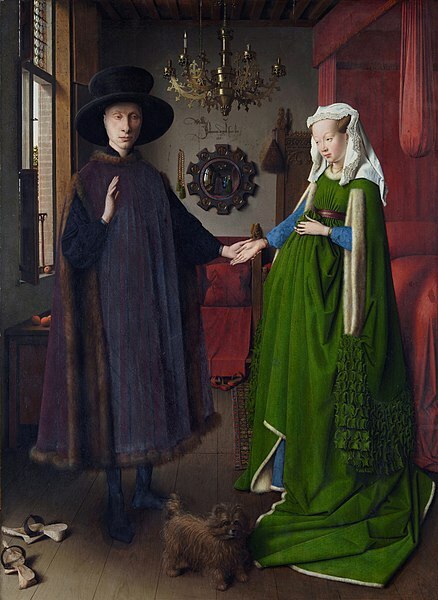 A technique used mostly from the beginning of the 15th century, popularized much to the credit of the Dutch painters such as Jan van Eyck. However, first written records of oil painting appeared already in the 12th century, where the pigment was blended with linseed oil. The advantage of oil painting is not only in its good adhesion to different surfaces, but also in its good coverage and a long colour fastness. Other benefits responsible for its popularity include the fact that the painting does not have to be finished quickly, thus allowing for various corrections and other numerous refined technical practices. Acrylic paints are water-diluted mixtures of pigments and synthetic resins, which gain water resistant properties after drying. Acrylics dry much faster than for example oil paints, which also influences the process of painting. The advantages of working with acrylic paints include the possibility of layering individual colours over one another, or the longer fastness of colours in light. Acrylic paints were already invented in the late 19th century, but gained more popularity in the second half of the 20th century. Some of the artists of the second half of the 20th century who discovered this technique and continued to enjoy it are for example Morris Louise or David Hockney, who popularized acrylic painting on the European arts scene. Refers to an art technique which uses water-soluble pigment paints - most commonly on paper (but other absorbent materials may be used as well). Watercolour paints have a relatively low coverage and thus create a slightly translucent effect and interesting transitions which can lead to results which may appear very subtle. In the past, watercolour paints were used mostly in combination with - for example - oil on canvas in order to produce sketches; but they were used also on their own. Some of the famous watercolours come from the hands of artists such as the Renaissance painter Albrecht Dürer. But this technique enjoyed the most attention thanks to the English Romantic landscape paintings, mainly executed by painters such as William Turner or Thomas Girtin. 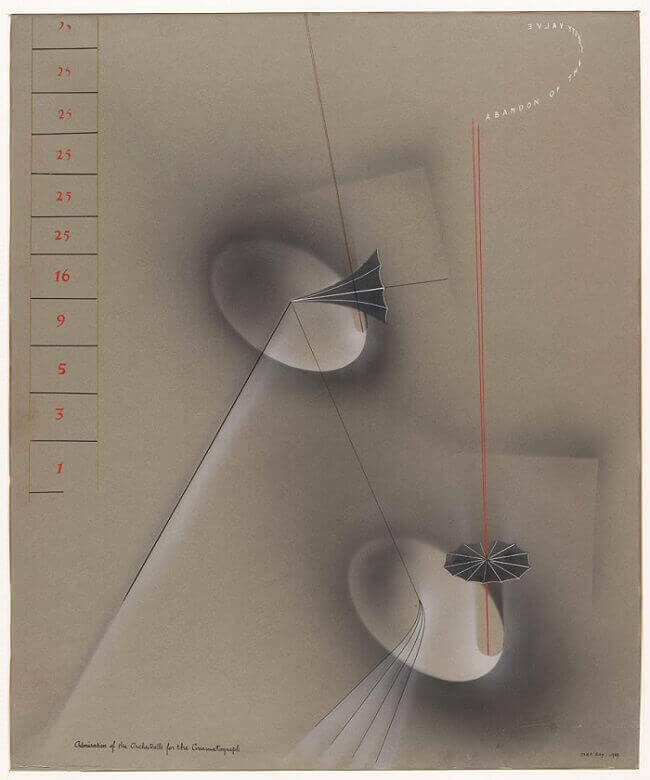 Or minimal art originated at the end of the 1950s in the US, mainly as a reaction to the abstract expressionism, but in its way it also followed the tendencies of suprematism promoted by Kazimir Malevič in the first half of the 20th century. The main idea of minimalism is based on the simplification of the art object to its basic geometrical, abstract form. In their work minimalists use the simplicity of geometrical forms, repeated structures and shapes, neutral clean surfaces and industrial materials. In its beginnings minimalism prevailed mainly in visual art and design, but later on the term started to be used for describing trends in architecture as well. or landscape painting appears in works of art already in the late antiquity. But it wasn't always perceived as an independent genre. In the Middle Ages landscape was usually perceived as a complement to the figurative religious motifs. The first signs of the singularization of landscape painting are more pronounced in the early 15th century as Renaissance enters the world of art. The moment when landscape painting fully gained its autonomy as a genre is clearly visible in Germany and Holland at the turn of the 15th and 16th century. Famous Czech landscape painters include Antonín Slavíček, Julius Mařák or Václav Radimský. Portrays inanimate ordered objects, which are of either natural origin (fruit, vegetables, plants or natural resources) or are man-made (glasses, pipes etc.). In the beginning, still life was used as a part of a broader composition. Later in the second part of the 16th century it gained independence and became a sought after genre for painters such as Jan Brueghel senior or Giuseppe Archimboldo, the court painter of Rudolf II. belongs among the most prominent art media and is considered to be one of the oldest art techniques. While it is traceable throughout the whole history of art, some of the approaches to painting still changed over time. Painting is in a close relation to drawing, which focuses more on the line, while the important aspect of painting is the work with colour and space. However, these tendencies are interlined with one another. For example Antoni Tapies used a fine monochrome line in his works, Will de Kooning worked with fast, expressive moves and Georges Seurat used a colourful area filled with a number of colourful points. Drawing is one of the oldest art techniques, whose main means of expression is a line, point or area. It is divided into several types such as sketches used for a quick drawing, study or preparatory drawing and free drawing also called griffonage - that is an inconspicuous drawing e.g. on the markings of a paper. Drawing can be further divided according to the technique used into a dry technique, using a pencil, a rudder or a charcoal; a wet technique, which uses China ink or ink; and combined drawing such as wash drawing. Drawing was originally used as a preparatory technique for larger paintings. It was only during the Renaissance that it started to be perceived as an independent artistic medium and thus became a sought after item for art collectors. It ranks among the elementary artistic skills, which also shows that an excellent command of the drawing technique has always been seen as one of the main criteria for admission to the Academy. Leonardo da Vinci or a modern artist Adriana Šimotova are some of the artists that mastered the technique of drawing. The technique of pastel is on the margins between drawing and painting. It is divided into dry and wet - depending on the type of binder. It performs very well when it comes to modelling volumes and surfaces, allows for artistic transitions and is great in achieving a clear line. Pastel was first used around the 15th century in a form of dusty chalk mainly for studies of painting. Its gradual development appeared in the 16th century thanks to a painter Johaim Thiel, who started using pastel on a bigger scale. Furthermore, during the Baroque period pastel was appreciated for its softness and subsequently started to penetrate into painting. The fact that is is easy to work with colours and to achieve individual colour transitions with pastel was appreciated by the impressionists, specifically Edgar Degas, in whose paintings pastel started to dominate after the 1880. Other prominent painters that favoured pastel include Picasso or Henri de Toulouse-Lautrec. The term collage comes from a french word coller (translated as to glue, to compose). Thus, the technique of collage combines various ways of gluing, folding and sticking of pieces of paper, reproductions, photographs or even pieces of fabric or wallpapers into paintings. Collage appeared in the paintings of Georges Braque and Pablo Picasso around 1912, but it’s development and fruition are already evident in works of Max Erns and the Dadaist movement, who used it for its playfulness and the essence of haphazardness. Other artists that used collage in their work are for example Kurt Schwitters or Francis Picabia or the pop art artists such as Richard Hamilton. The most famous artists that employed said technique in the Czech context are Jiří Kolář and Ladislav Novák. includes all techniques by which one can extend or reproduce a text, painting or a picture. Graphics is further divided into technical and artistic. Artistic graphics includes free graphics, which provides more liberty in terms of artistic expression; and commercial graphics, which possesses along with the artistic expression also some practical value. Posters may serve as an example of the latter one. One of the first artists to popularize this technique was a German Renaissance painter Albrecht Dürer. In its beginnings, lithography presented a breakthrough technique. This technique has been known since 1796, when it was first used by a Prague native Alois Senefelder. It was thanks to him that the printed image was able to benefit from the same possibilities as a sound and a word and could be spread much faster. Lithography uses printing from a stone, that is the surface with printing and non-printing areas which do not differ in relief, but in its chemical properties. A great shift in lithography and in printing techniques in general came in 1837, when colours also started to be used in lithography. This led to the increase in printing of reproductions or in the poster production. Even big artists such as Henri de Toulouse-Lautrec or Alfons Mucha started to dedicate their time to poster creation using the technique of lithography. It still remains popular today and is mostly used for printing of e.g. posters or newspapers in a great volume. Etching belongs to graphic techniques which work with the degrees of depth, but it can also include printing working with the height, such as zinc etching. Other types of etching include for example line etching, wash etching, chalk etching etc. For the basic technique of etching a smooth metal plate is used. This plate can be for example a copper one and is furthermore coated in a protective layer which resists the etching chemicals. After drying, a needle is used to etch the layer. Finally, the plate is immersed in an etching bath. This process has been known since the 15th century and reached its peak in the artwork of a Dutch artist Rembrandt van Rijn who created about 300 etches. Belongs to the printing techniques that deal with the area. This process has been known for a long time, but the technology was developed only at the end of the 1920s in the US, from where it later on migrated to Europe. The printing technique consists basically in pushing paint through penetrable parts of the stencil. Screen printing was and is still popular with artists focusing on free graphics, who use it when they work on bigger sets. 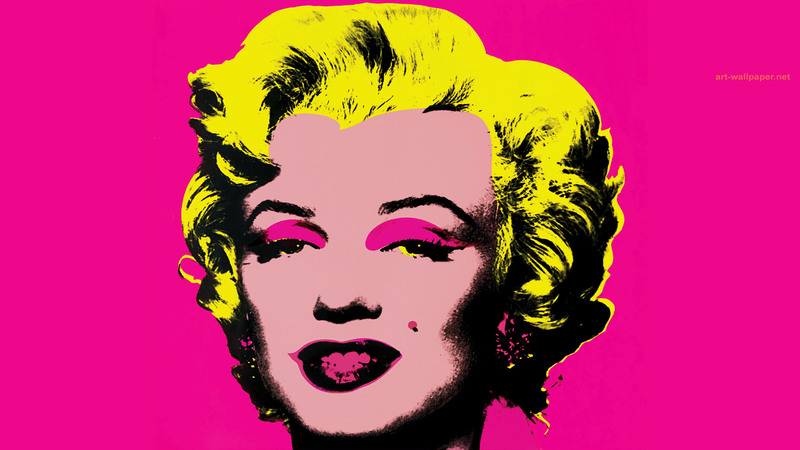 Its popularity has increased in the 1960s thanks to the pop art artists such as Andy Warhol or Richard Hamilton. From the end of 20th century spray painting was connected with graffiti, that is with public paintings accessible in public areas. 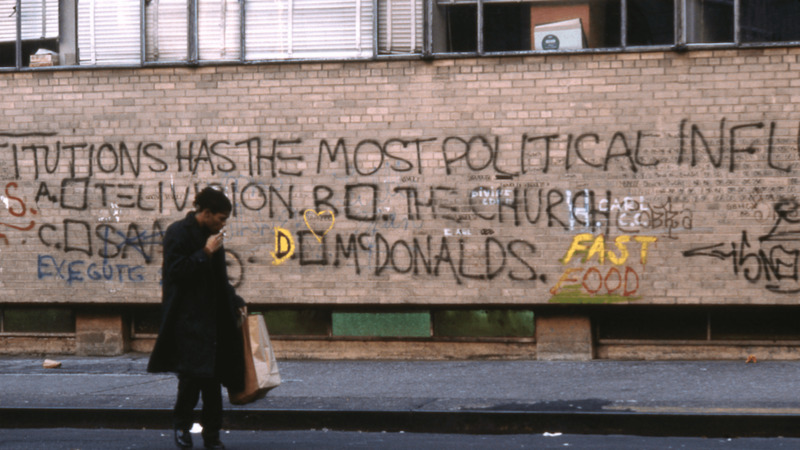 At first, this artistic expression belonged to the underground movements of the 1980s, but later on it started to penetrate the official art structures as well. Jean-Michel Basquiat can be seen as one of the main characters that helped to introduce this technique to the galleries. China ink was already used in ancient China and it was obtained by mixing soot from e.g. resin or vegetable oils with glue. It is used for paintings on paper, but there is also lithography ink that is used for painting on a lithographic stone which is subsequently used for printing. 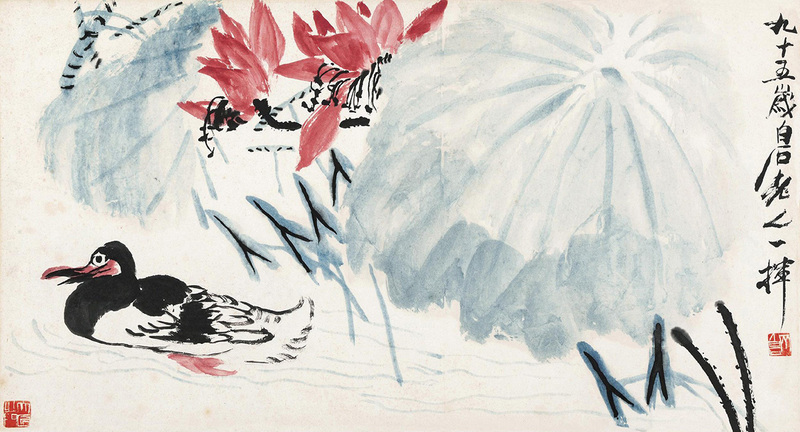 A Chinese painter Qi Baishi (1864 - 1957) belongs to the most influential artist and has also influenced the European art scene. Czech contemporary artists that also enjoy working with China ink include for example Jiří Straka, who also uses Chinese ink painting techniques. Is an art technique invented at the end of the 19th century, which is based on layering of paint with the use of an air stream from an airbrush pistol. At first the technique was used for retouching photographs, but later on it started to be used as an artistic technique on its own. A famous photographer of the 20th century Man Ray also used it in his photos. This technique uses a chemical reaction to light, which leads to the visual preservation of the model. The first attempts to capture the image by using light-sensitive material were observed already around the year 1800, but its development did not begin until the 1920s. The invention of photography was crucial for fine arts as it liberated painting from its utilitarian function; that is the visual record of reality; and helped in its evolution towards abstract thinking. Nowadays, there are various types of photography such as documentary photography (primarily capturing reality in its true form), art photography, reportage photography (parts of various broadcasts, newspapers etc.) or commercial photography (made on request, e.g. fashion photography). Art photography is, like other graphics, sold as a small set signed by the author. Some Czech and foreign art photographers include for example František Drtikol, Cindy Sherman, Barbora Probst, Pavel Baňek or Dita Pepe. TIs an artistic expression accompanying a text of various forms - be it a book, a magazine or a newspaper. It is closely connected with the text and as such does not only work as a decorative element of the text. However, every author approaches this connection between the text and the illustration differently - they can either illustrate the content of the text, complement it or work with its overall atmosphere. Illustration is also influenced by the intended audience of e.g. a book (children, educational literature, cookbooks etc.). Illustration can also work as an independent artistic expression. The most common techniques include drawing, painting or collage (can be also digital etc.). 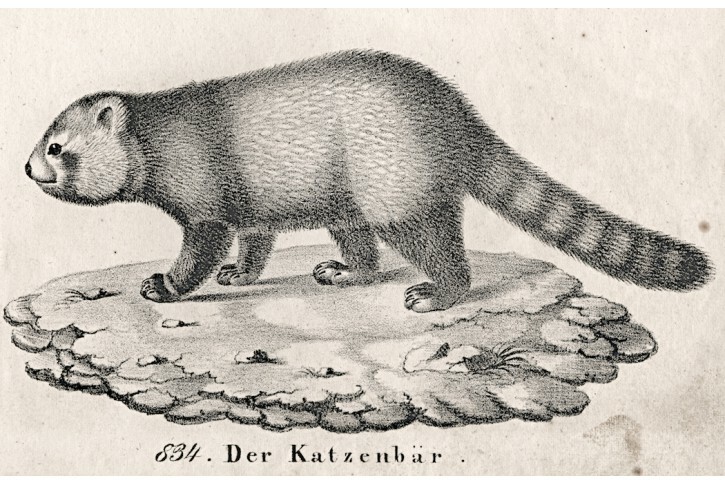 Some famous Czech illustrators include Václav Hollar or Adolf Born. 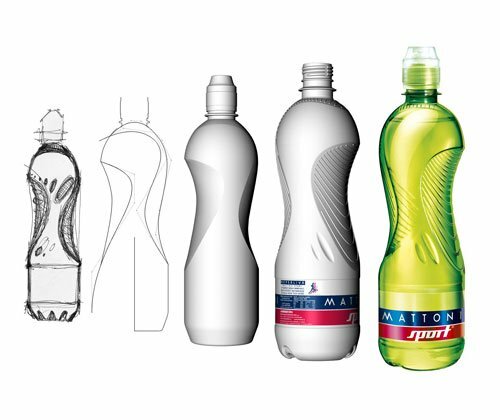 Product design relates to many things that surround us everyday - be it cups, tools, benches or car design. The key thing for product design is that it is created with a particular purpose in mind - as such, it has a clear function. Indeed, during the creative process the designer has to combine the functionality (the product has to be fully functional) and the design with the nature of the material. The designer must know these in detail in order for the product to have the desired quality. Nevertheless, it is not only about the creation of a quality product, but also about innovation, employment of new materials, and last but not least about finding one's own style/signature. Product design is usually created in small series or ordered by customers (e.g. lights for a specific space). Designers also often collaborate directly with the manufacturers, companies or brands. Product design is taught at universities in both Bachelor's and Master's programs. Maxim Velčovský or Jan Čapek can serve as an example of a famous Czech designer.